The first time we treat any home in Gilbert we always do a “Clean Out”. Clean-outs eliminate scorpions, spiders, crickets, earwigs, beetles, desert roaches, ants, and other pests around your home. At the same time we clean-out: garage, exterior perimeter, entry points, yard & fence. Pest Control in Gilbert is best on a regular basis to maintain control of SCORPIONS and other pests. Ongoing insect Monthly or Bi-monthly programs MAINTAIN the barrier applied at first service. Once pests are eliminated inside, we can control them from outside with regular maintenance. Monthly service (best for Scorpion Control) starts at $49 for homes 3000 sq ft & under. Bi-monthly Pest Control (for customers without scorpions) starts at $79 for homes 3000 sq ft & under. ALL homes that keep up regular service are ALWAYS under our GUARANTEE. On SALE Now: Initial Clean Out service ONLY $99 with a Monthly or Bimonthly service agreement! 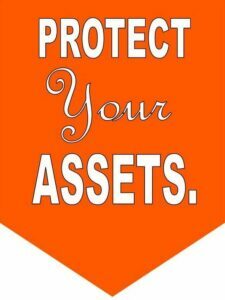 Continual Guaranteed Pest Control service every month for ongoing control that does not wear off. Monthly service is Best for Scorpion Control! 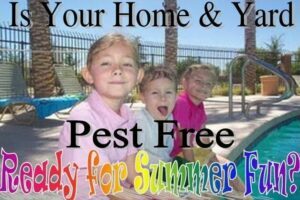 Responsible Pest Control Gilbert AZ – Making Happy Customers in Gilbert & surrounding areas!